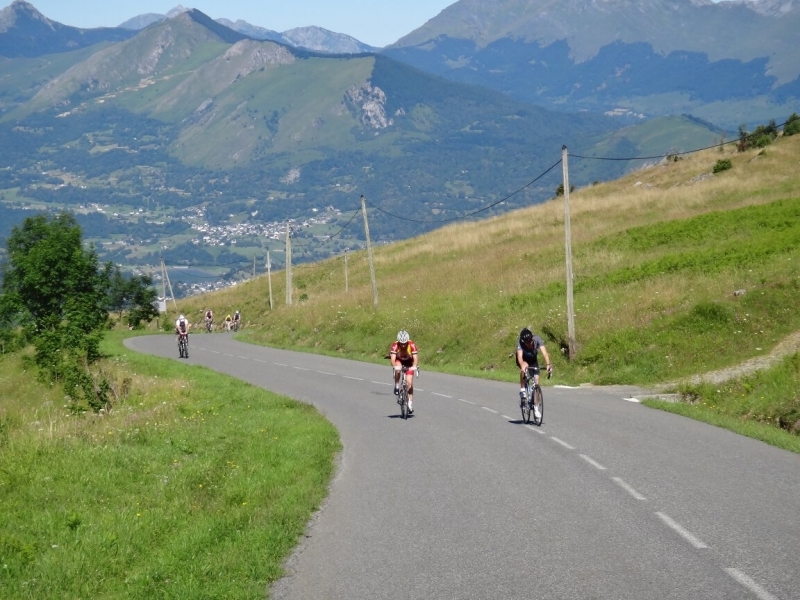 Mountainbug Tour de France cycling holidays are based around the passage of the Tour de France through the French Pyrenees which takes place every July. 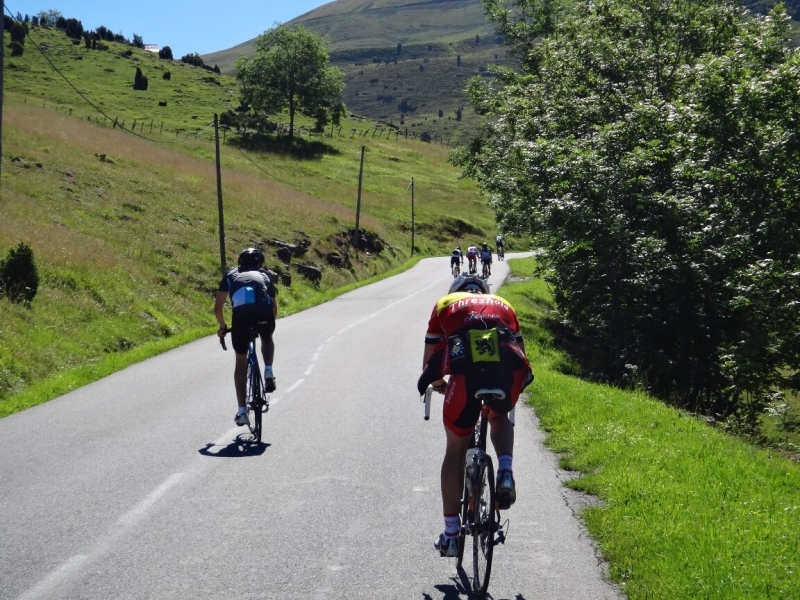 The tour in the Pyrenees is particualrly centred on our local area this year with a finish just 8km away on the Col du Tourmalet and another finish just over the hill at Bagneres de Bigorre and a start at Tarbes. 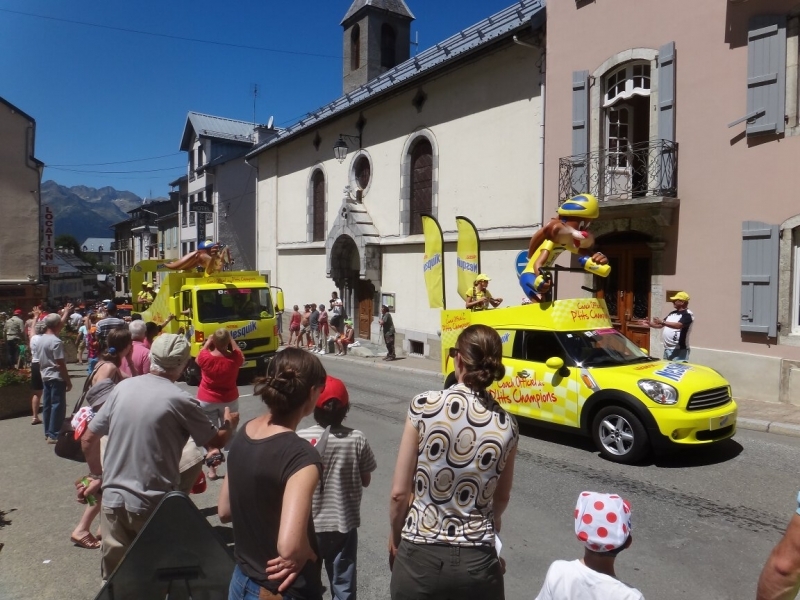 The Pyrenees should yet again have a great impact on the Tour de France this year coming as the stages do towards the end of the tour and with 3 mountain stages that are due to be decisive on the final result. 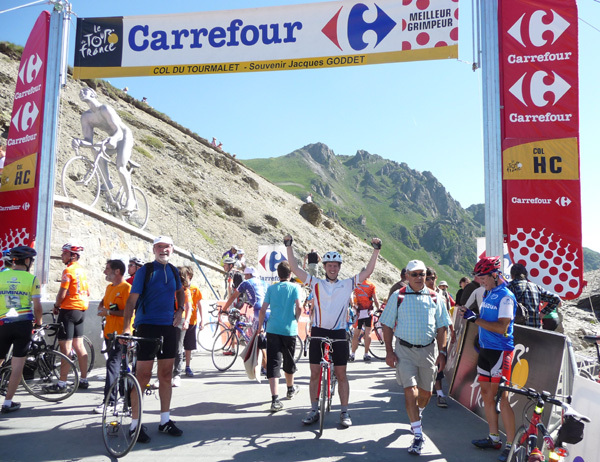 We have Tour finishes at Bagneres de bigorre, Pau and the Tourmalet. 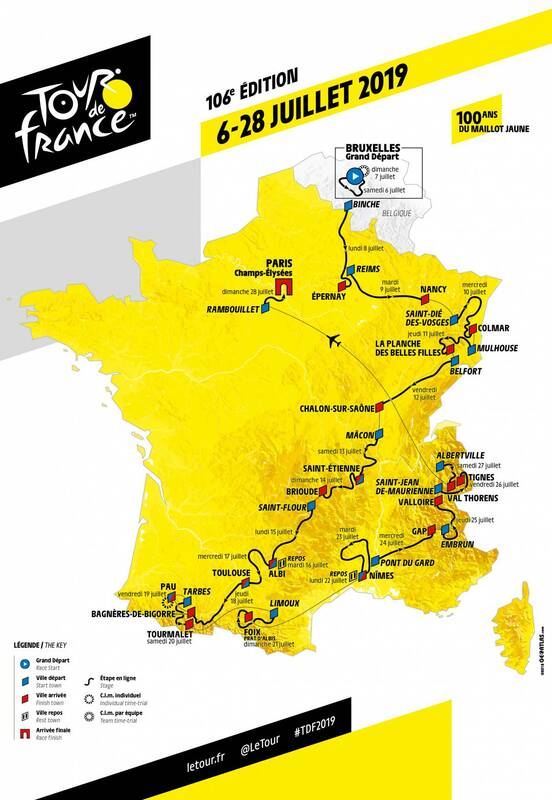 It has been strongly suggested the Emanuel Macron, the French president whose grandmother is from Bagneres de Bigorre, is likely to be attending the race as it passes through the area. 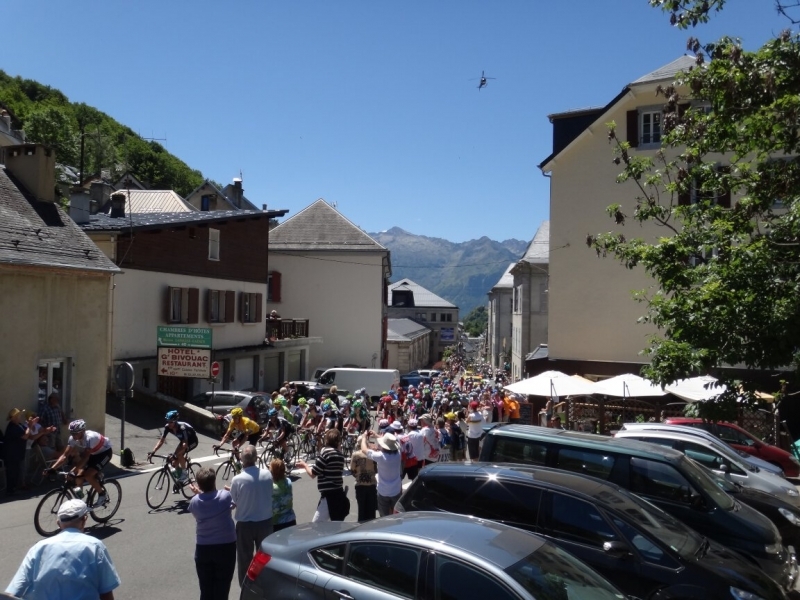 Our very popular guided Tour de France cycling holiday, with road support and transfers, takes in the highlights of the Tour in the Hautes Pyrenees – including seeing the tour pass over the Col de Ancizan and the finishes at Col du Tourmalet, time trails at Pau and a finish in Bagneres de Bigorre. 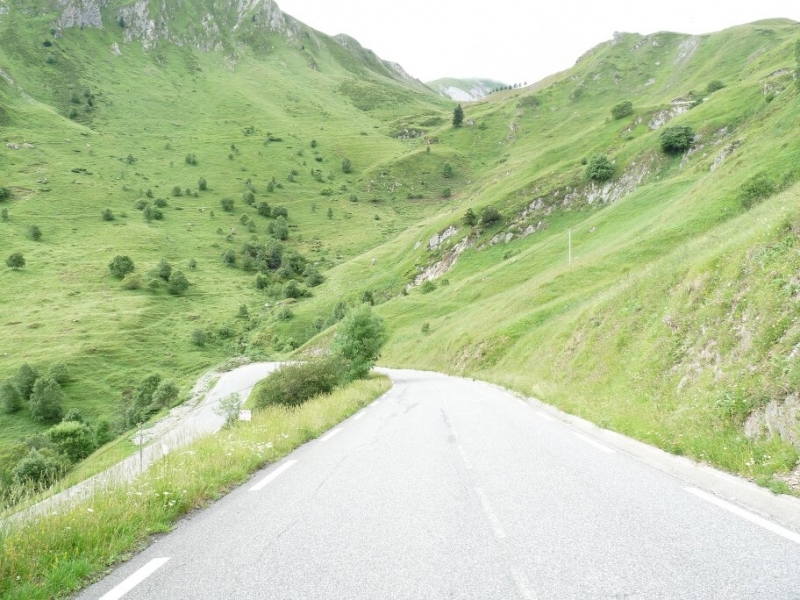 We will ride several of the classic HC cols that have featured many times in the history of the Tour de France in the Pyrenees. 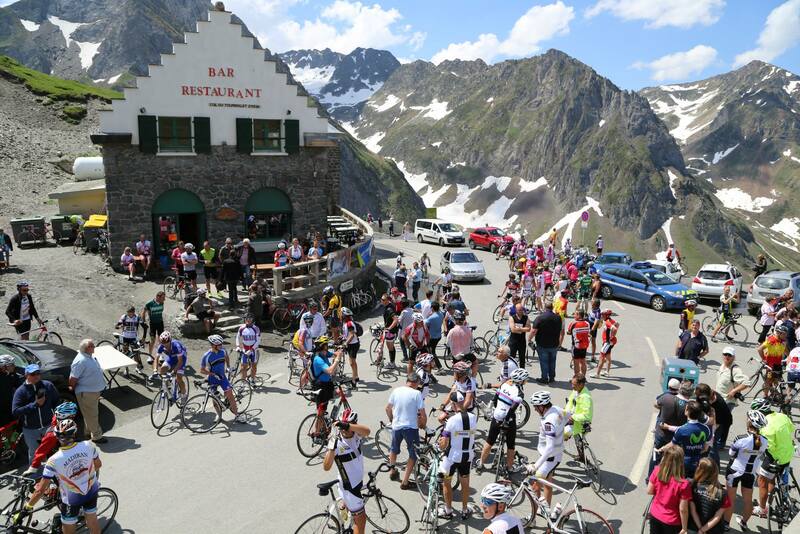 Climbs include the Aspin, Peyresourde, Tourmalet, Soulor, Aubisque, Luz-Ardiden, Peyresourde and an excursion into the heart of the National park and UNESCO world heritage sites of Troumouse and Gavarnie. 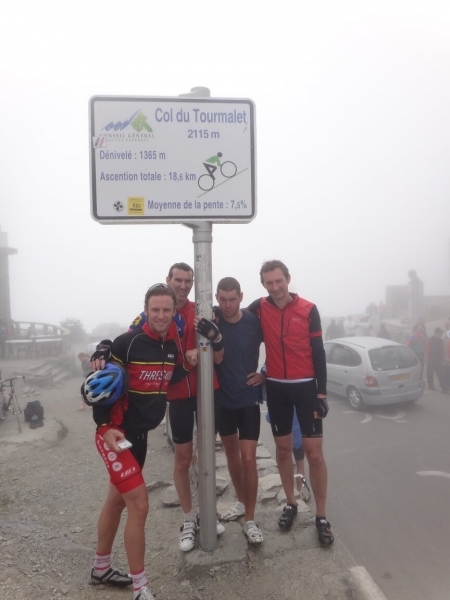 There is also an option for the hardy to climb the Col de Tentes 2200m – the highest paved road in the Pyrenees. 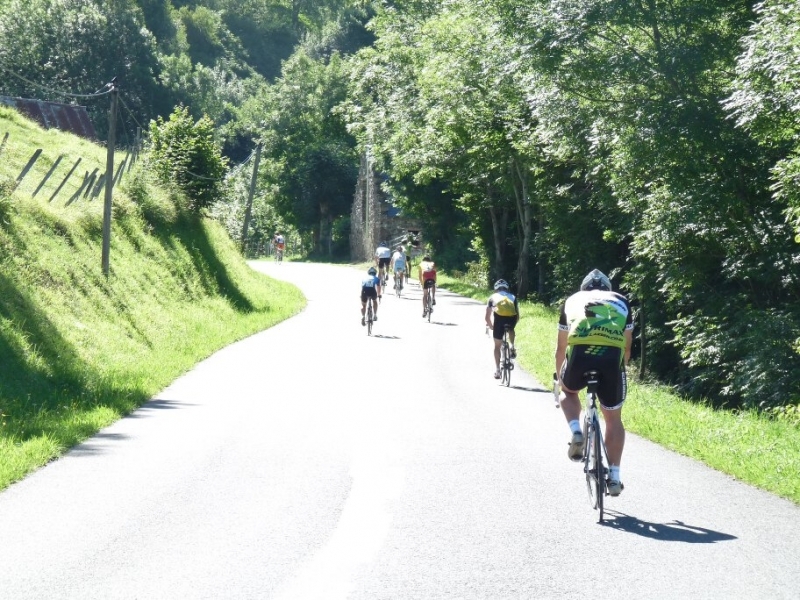 Stage 12: Toulouse to Bagneres de Bigorre. 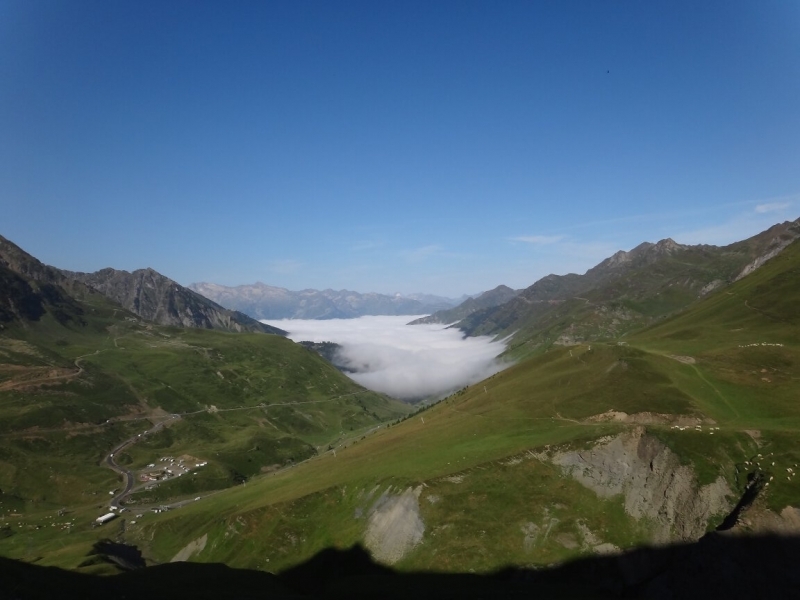 18 of July passing the Peyresourde (1569m) and Hourquette de Ancizan (1564m). 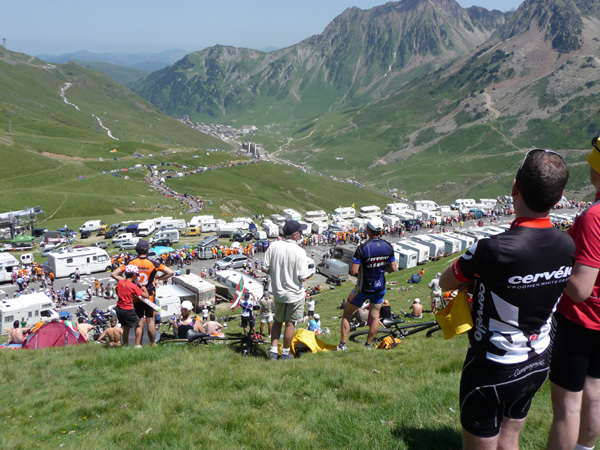 Satge 14 : Finish at the Col du Tourmalet, Saturday the 20th. 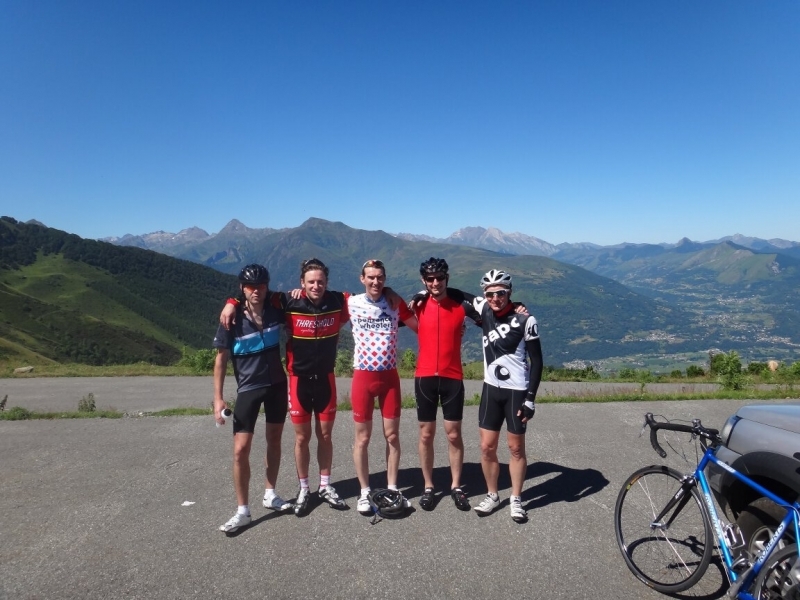 This trip is aimed at keen road cyclists who want an action-packed Tour de France cycling holiday, including the classic Pyrenean Tour de France routes as well as viewing live TDF stage finishes from the best spots with true local inside knowledge. You need to have a good level of fitness and experience to tackle these HC cols on a daily basis, but you have all day, road support and the result is worth it! 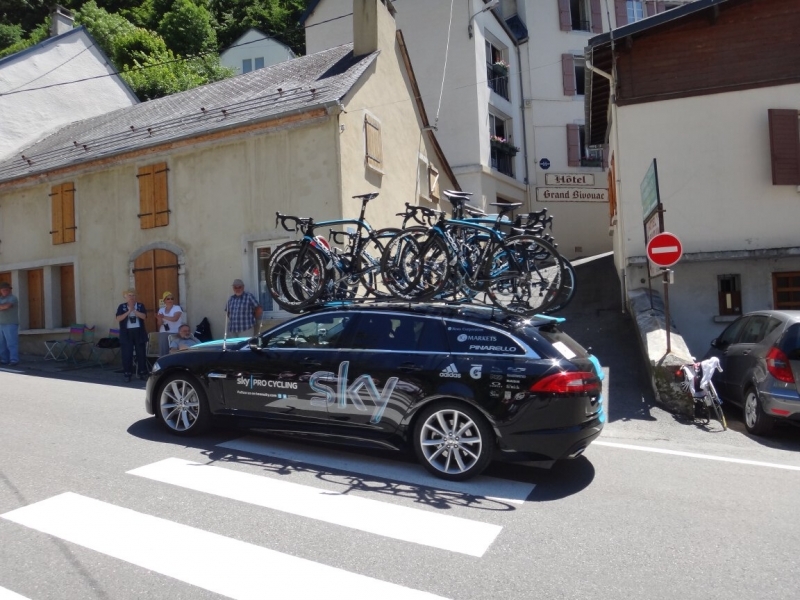 We are based for the week in the mountain village of Barèges – well-known to cyclists as a staging post before the legendary Col du Tourmalet (the highest road pass in the French Pyrenees at 2115m), and directly in between the Tourmalet col and the Luz-Ardiden climb. For the many of our rides we can cycle direct from the village, and for others we provide transfers at the beginning or end of the day. The transport accompanies the group through the day for technical support. The price does not include airport transfers or cycle hire but these can be arranged for you. 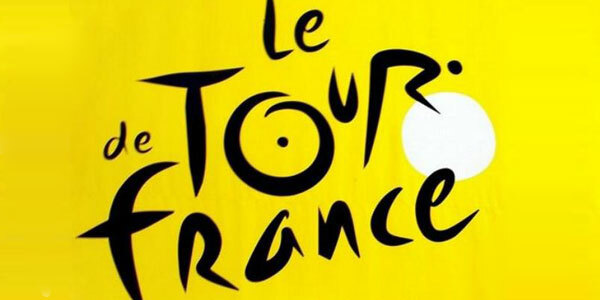 Our Tour de France special cycling holiday for 2019 is the week of 13th – 20th July. Contact us to book. 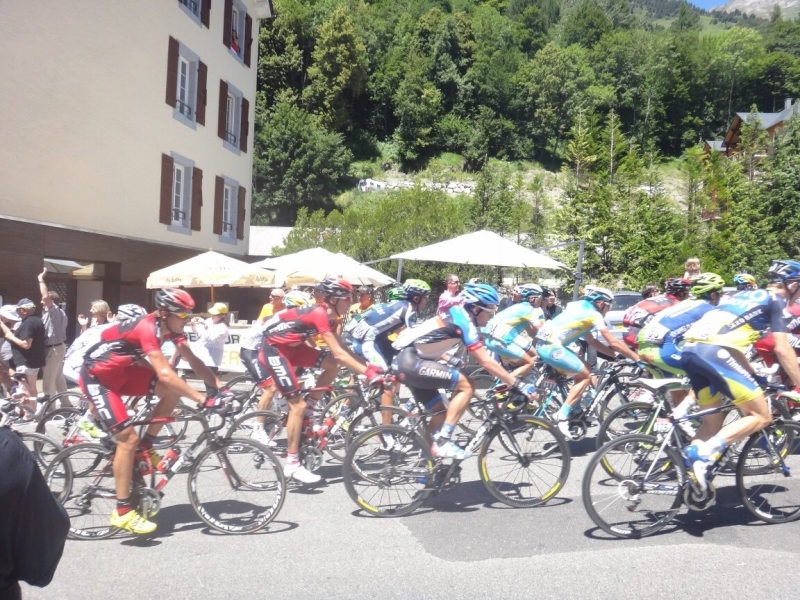 To take part in Tour de France cycling holidays you should have a good level of fitness or pre-training. The rides are not a race and you will have plenty of time to complete each stage at your own pace, be it blistering or not. 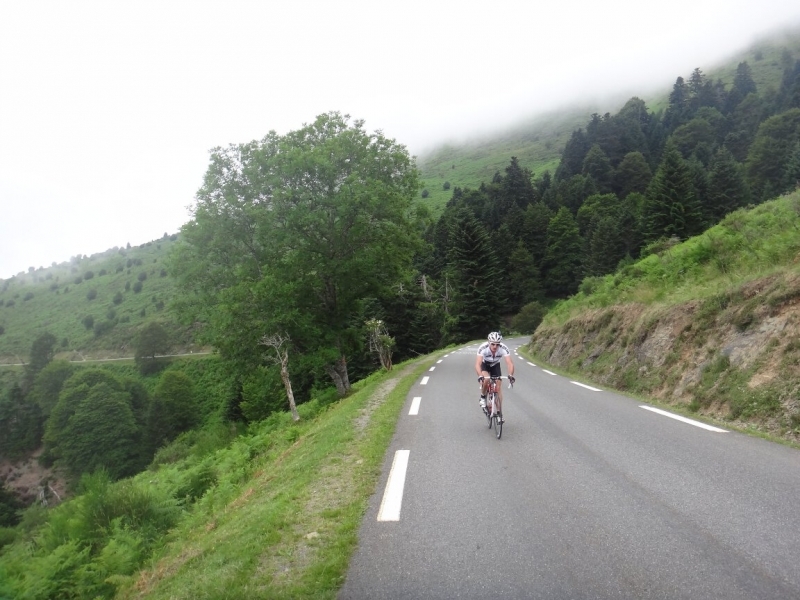 There are optional extra ascents throughout the week for very keen riders, and road-support is available throughout for mechanical assistance, morale-boosting and lifts should they be required. Please click the “itinerary” tab for more details. The itinerary is flexible, so do let us know if you have other routes or suggestions. 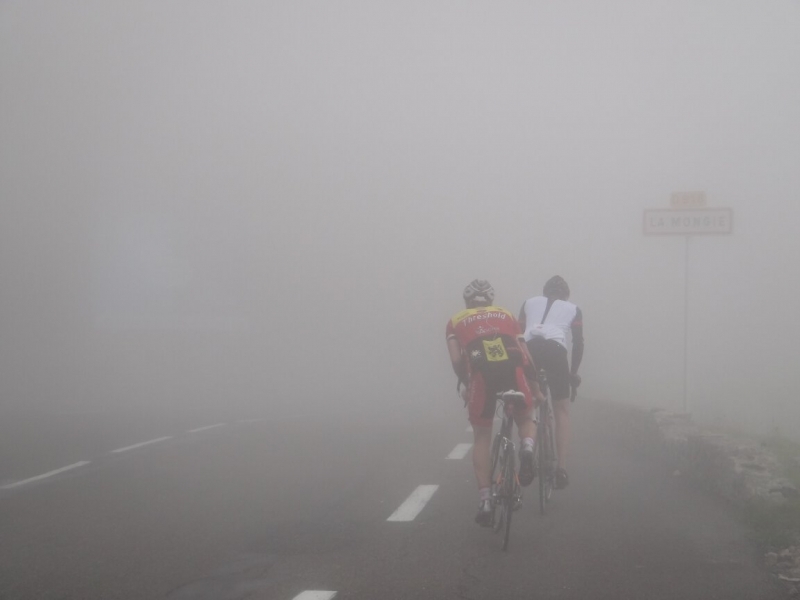 We can adapt the rides during the week depending on the weather, group fitness etc. Please note though that this is a very popular week and we are often booked up early by keen cyclists. A limited number of spectator places may also be available – please enquire. 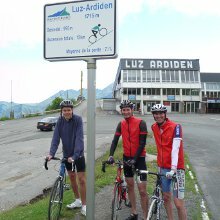 We set out from Bareges with the 8km sweeping descent into Luz-St. Sauveur (710m) – start point for our climb to Luz-Ardiden. 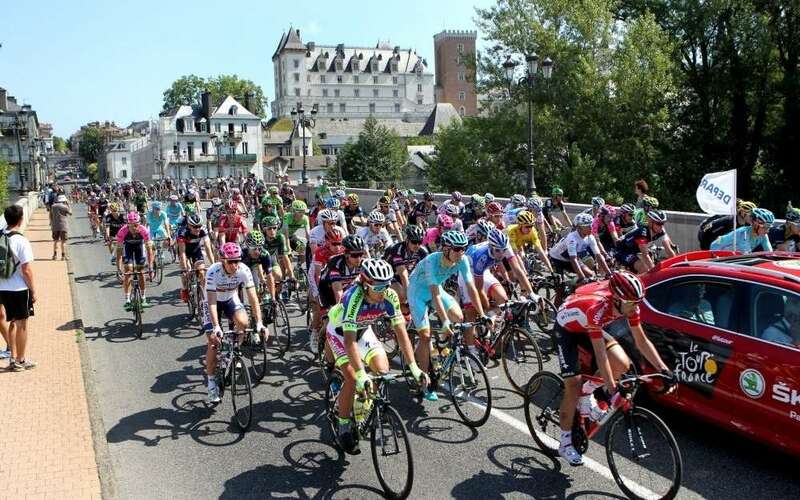 This classic Tour de France favourite was a finish most recently in 2011, but is best known for Lance Armstrong’s crash in 2003 when his handlebar snagged on a spectator’s bag. 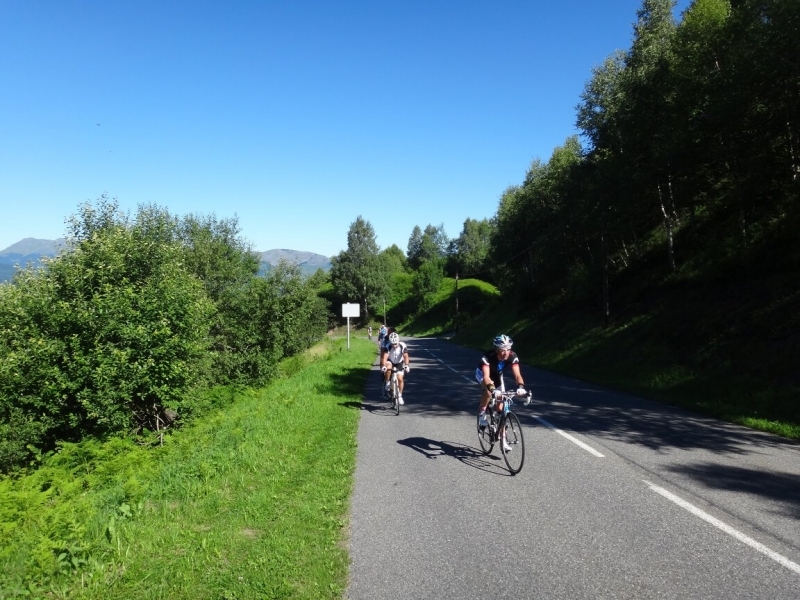 The climb is a big one – a 1010m ascent in 14.7km, averaging a gradient of 6.9% making it a is a Cat HC climb up to the ski station. 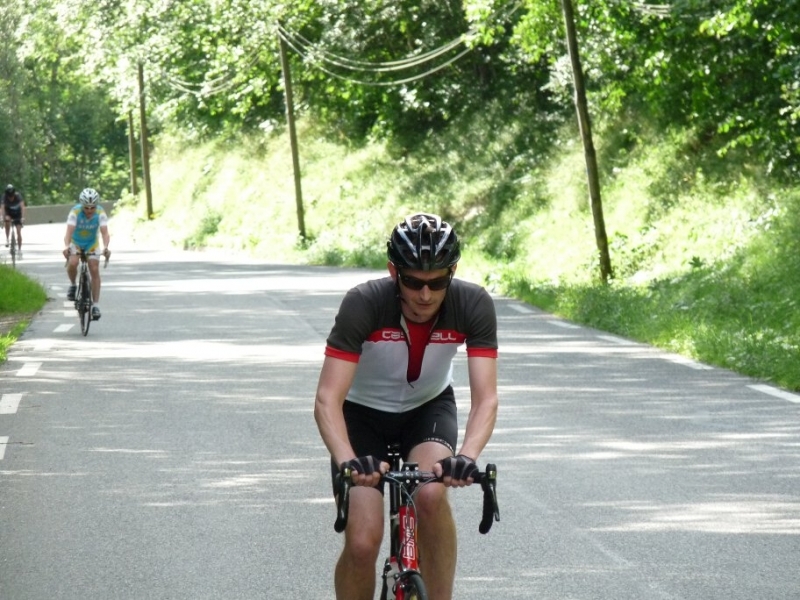 The climb is on a well made road that was constructed in the 1970s and is regularly re-surfaced for pretty-much-perfect cycling conditions. Maximum gradients is 12%. The highlight of the ride is the descent, with 25 hairpin bends and long straight sections in between, taking you down from Alpine meadows through the forests and the beautiful perched villages of Grust and Sazos, to finally roll into the ancient and vibrant spa town of Luz. From Luz you can call it a day and cruise back up, or take a lift with the bus back to Bareges for afternoon tea. If you don’t fancy relaxing there is always the epic ride South to Gavarnie and the Spanish border at the Col de Tentes (2200m). You can’t come to the Pyrenees and not experience the truly awe-inspiring beauty of the Pyrenees National Park and the Mont Perdu UNESCO World Heritage sites of the Cirque de Troumouse and Gavarnie. The climb is 16.4km at 6.5% to an altitude of 2125m. 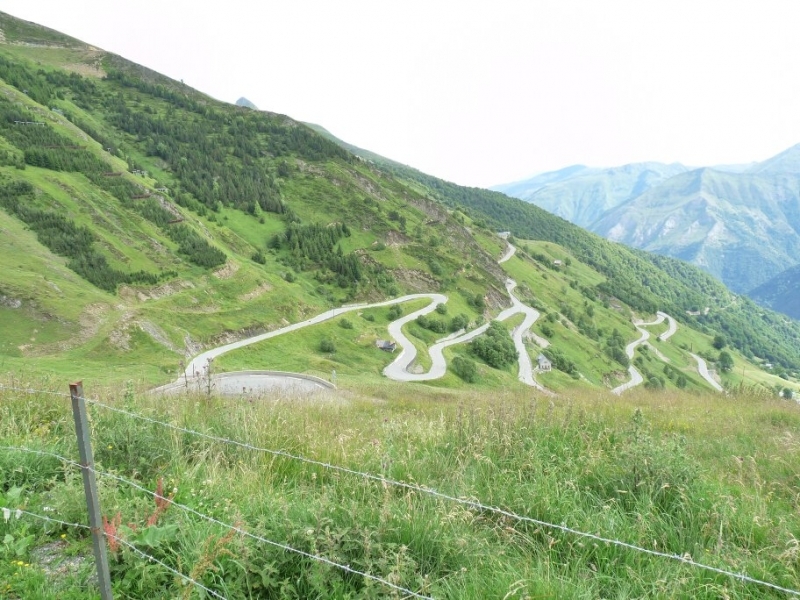 The snaking switchbacks of this private road have to be seen to be believed, and the scenery is some of the most breathtakingly beautiful in the World – with thundering waterfalls, soaring 3000m peaks, golden eagles, wild chamois, marmots and a challenging climb to boot! 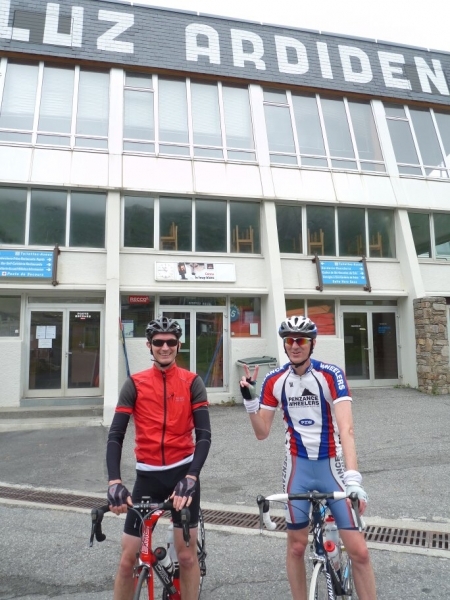 Tuesday 16th – The Tourmalet. 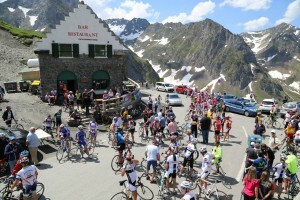 Arriving at the Col du Tourmalet from the Bareges side. 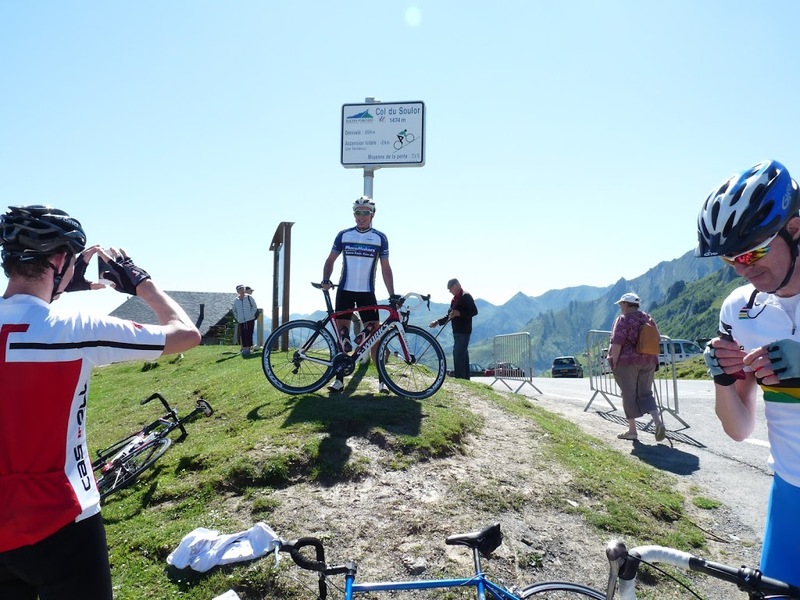 The classic 100 km circuit of the Pic du Midi du Bigorre (2877m), finishing with the Eastern ascent of the Col du Tourmalet a viewing of the passage of the tour over this emblematic Col and a flying descent into Bareges. 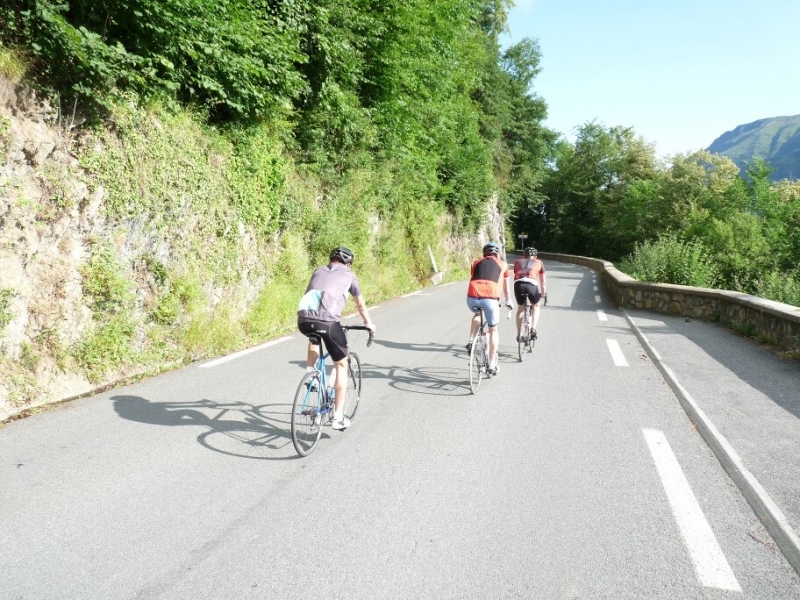 The day begins early but leisurely with descent to Pierrefitte where we pick up the superb “Voie Verte” cycle track to Lourdes – a great warm up with no chance of any traffic! 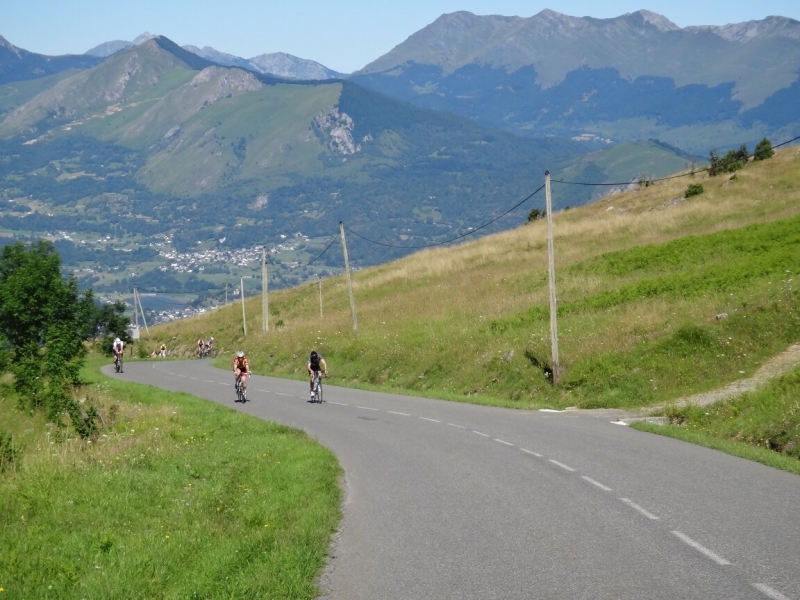 At Lourdes our route takes us East to Bagneres de Bigorre via the rolling foothills of the Pyrenees. Although the hills here might not rival their high-mountain big brothers for altitude, there are some tricky steeps and long, sweeping descents that guarantee the grin-factor of this ride. 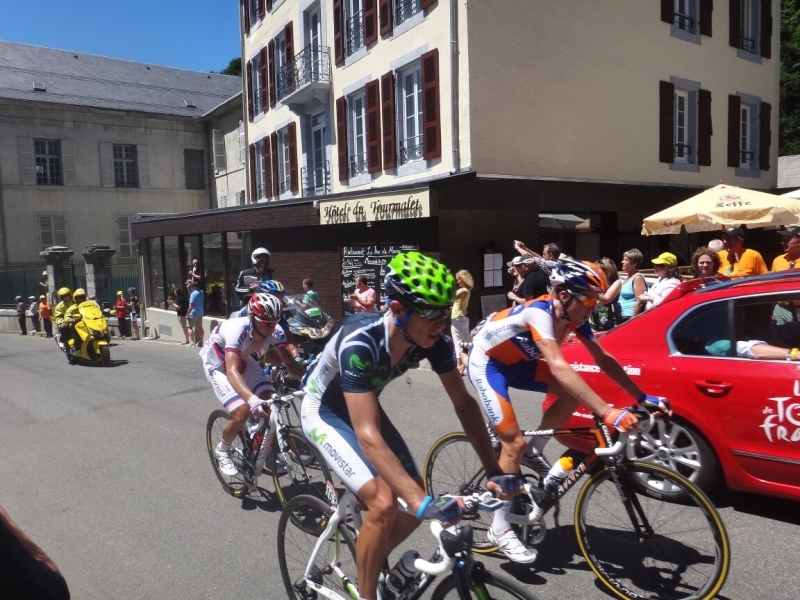 From Bagneres – where we will be seeing a tour finish on Thurday, the route ploughs South to Sainte Marie de Campan. 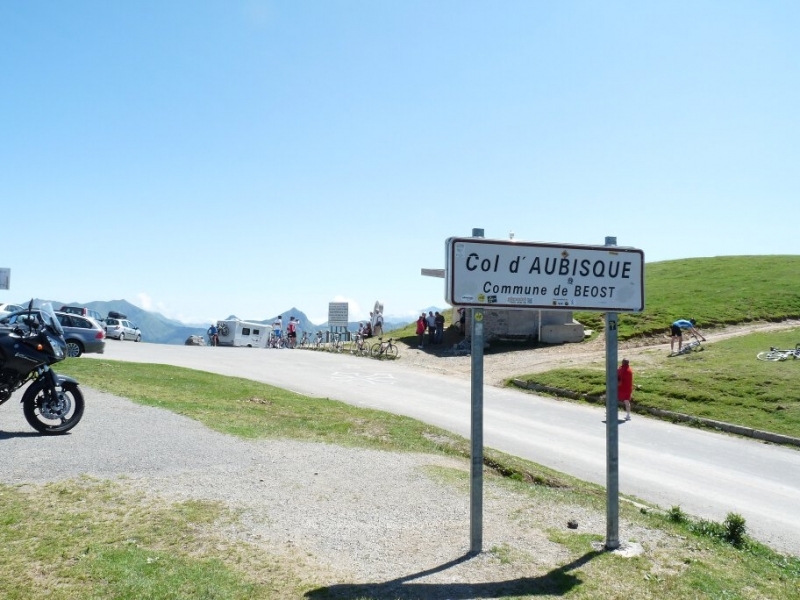 This is the official start point for the ascent of the Eastern flank of the Col du Tourmalet – a gruelling climb of 1268m over 17.2km, with the gradient averaging 7.4% (much of the last 10km clocking 10%). 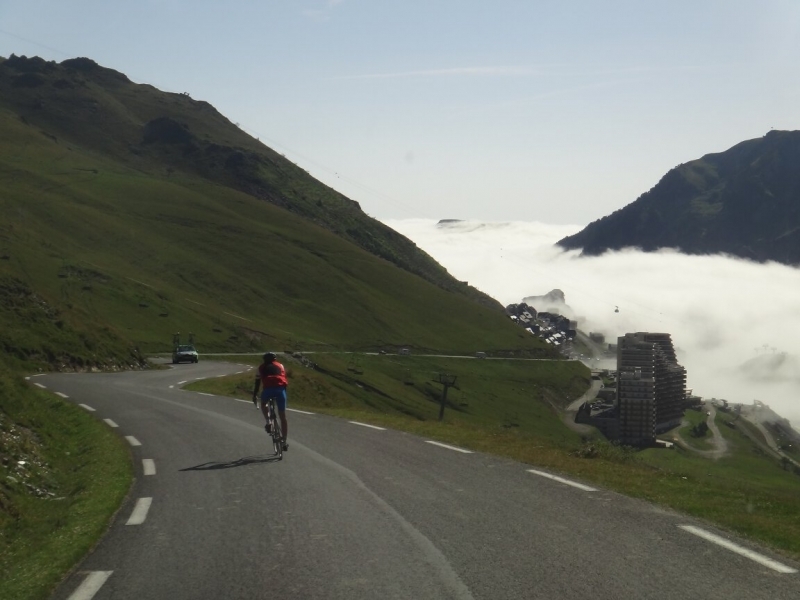 The Eastern ascent is considered to be the most challenging approach to the Tourmalet giant, at 2115m. 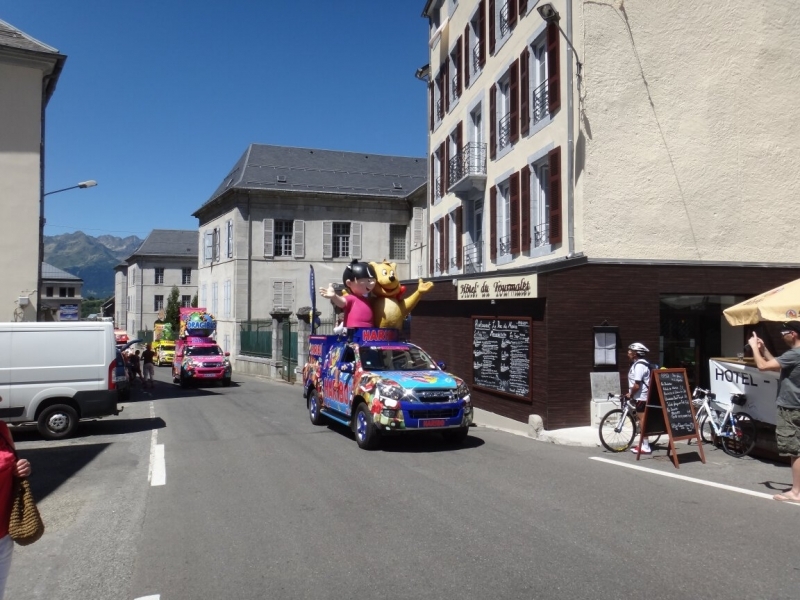 We then get to fly down the route that the tour will be climbing to the Saturday finish at the Col. From here it is an exhillerating decent back down to the chalet / bar in Bareges to watch the end of the days race from comfort. 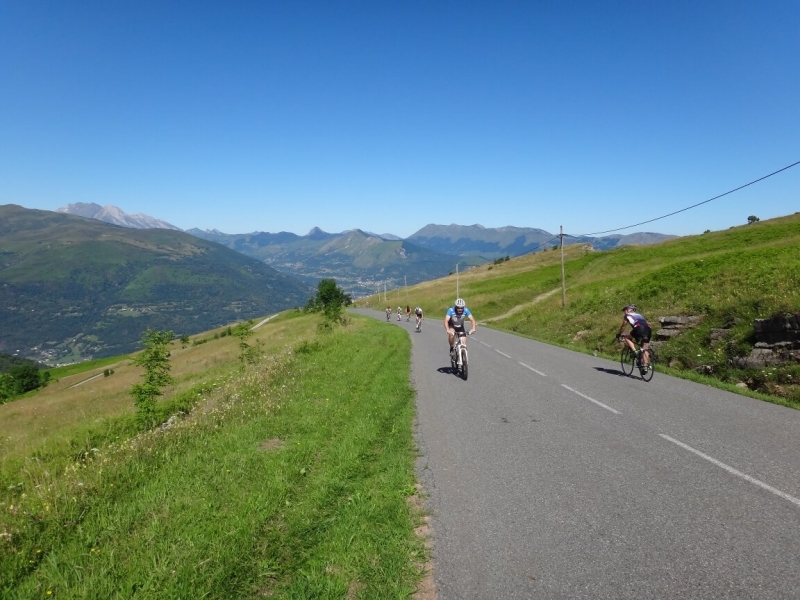 Today you can rest, hike, paraglide, raft, cave, canyon…or we can advise you on other local routes to tackle on 2 wheels, including: Borderes, Soulor/Aubisque, Cambasque, Luz Ardiden, Tourmalet, Aspin, Col des Tentes, Hourquette d’Arcizans, Cirque de Troumouse, Hautacam. You could even go on the train (or ride! ), to Toulouse to catch the finish there and take part in the celebrations. We will take a transfer over towards Bagneres de Bigorre, or for those who like a full day in the saddle, you would easily have the time to ride up and over the Toumalet too… From this beautiful thermal spa town, that will be welcoming the tour de france riders at the end of the day, we will make our ways along a little known but truly stunning road hidden at the foot of the Soum de Bassia (the most Northerly ridge of the mountain range that divides the bucolic foothills from the mountains proper). The D26 road has been used by the Tour in the past, it threads its way through what appears to be a section of the amazon rain forest, it is mostly covered by ancient trees dripping with long tendrils of moss as it rolls past ancient villages, mills, caves and runied castles to the low Col du Luquet (659m). From the Col we drop into the Vallee d’Aure which we follow up through the market town of Arreau to the small mountain village of Ancizan. The village lends its name to the famous hourquette or col hiding up in the wooded slopes above it. 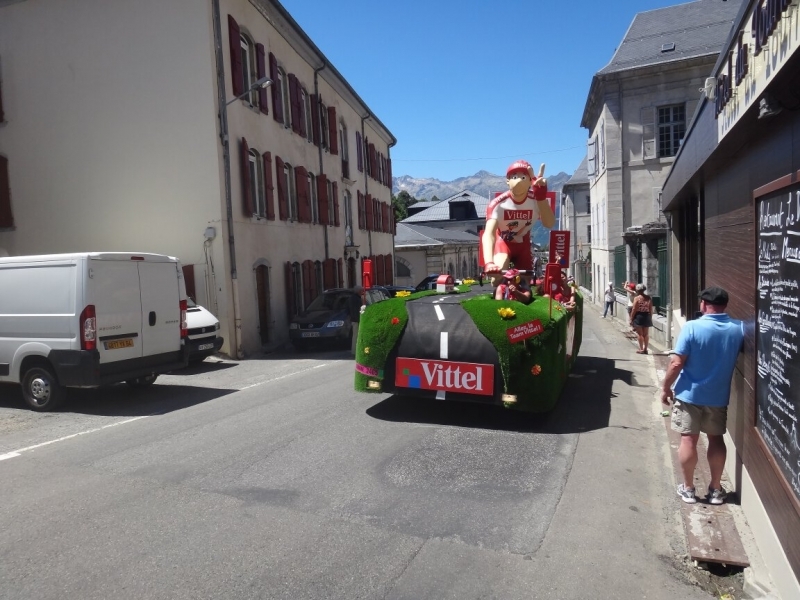 Here the chase is on, we will be on the actual Tour de France route for the day, we will cycle up the road before it is closed to bike traffic (they often close to cars all day but leave bike access until the publicity caravan rolls through a couple of hours before the racers). 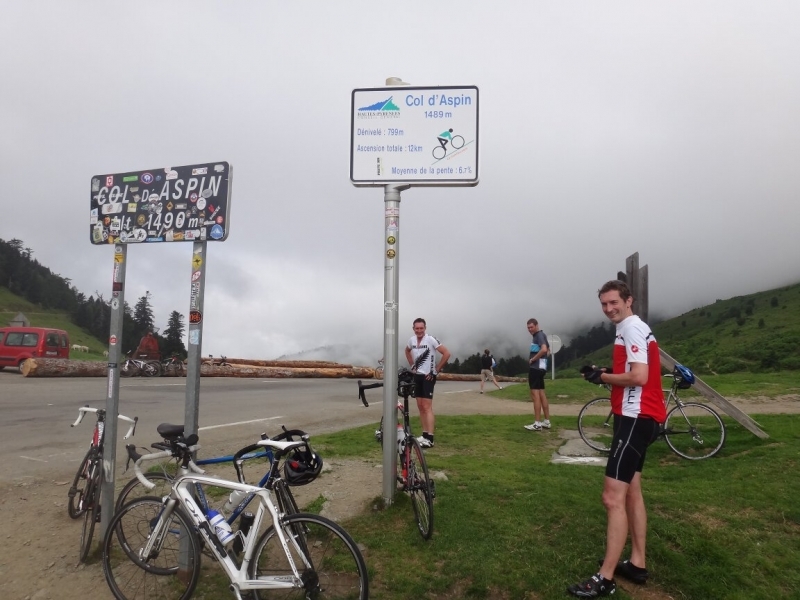 From the hourquette at 1564m we then race down through one of the prettiest valleys on a twisting well surfaced road through multiple switch backs and pass the Lac de Payolle to rejoin the D918 Col road coming down from the Col de Aspin. 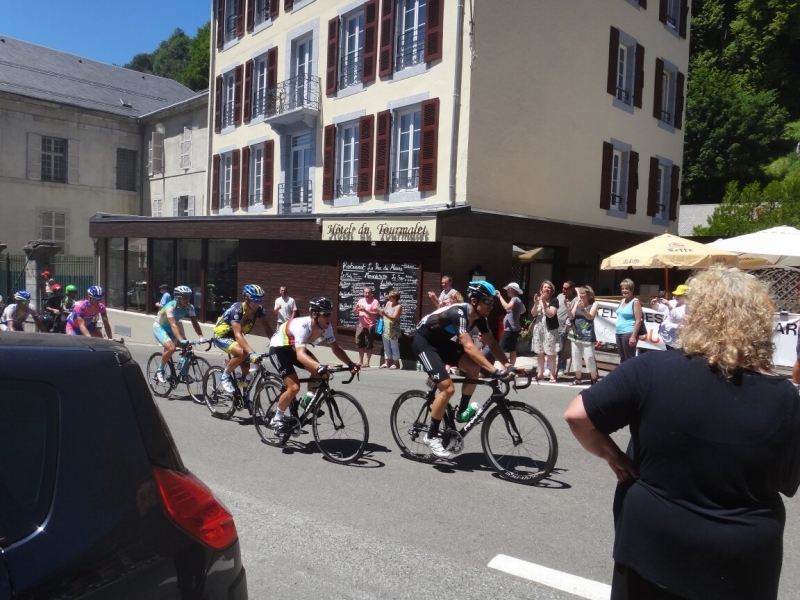 The Col road sweeps us down the Campan valley to take us back to the start at Bagneres to see the finish (it is also possible to wait at the Hourquette to see the tour riders race for the final climb of the day and then within 20 minutes follow them to the finish). 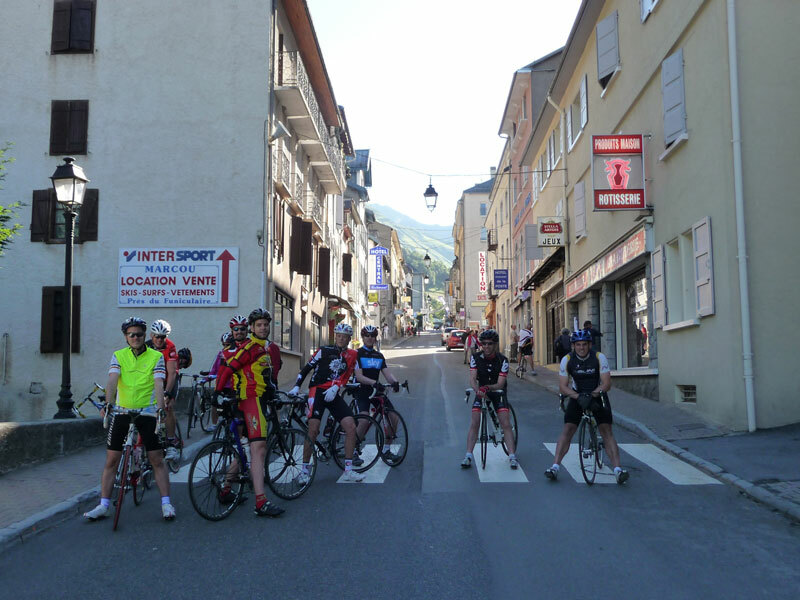 Friday 19th – Ride to the Pau time trials via the Cols de Soulor and Aubisque. 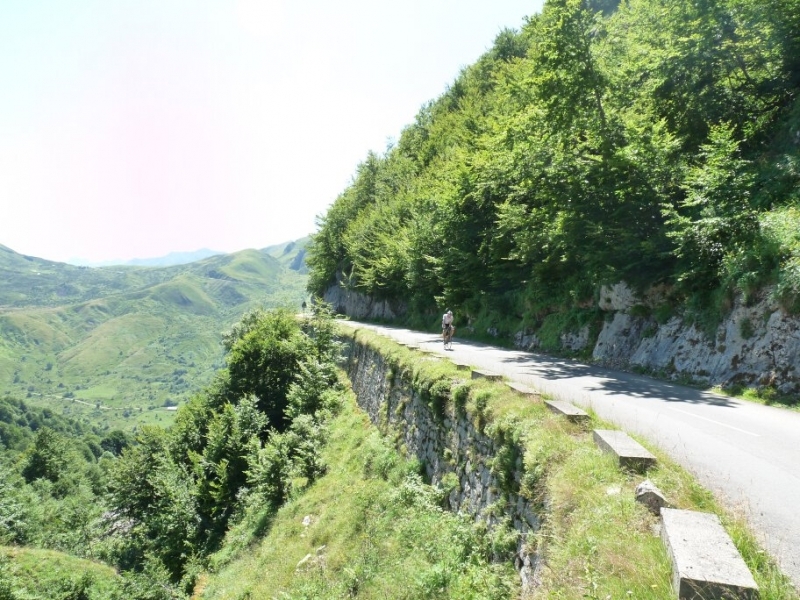 Today’s ride to Pau goes via the classic Pyrenean TDF cols of Soulor and Aubisque and down the beautiful Ossau valley to see the live finish of stage 11.The twinned Pyrenean giants of Soulor and Aubisque are steeped in Tour history. 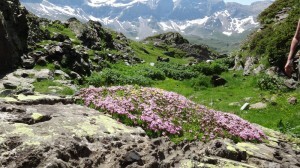 This is a long, but rewarding day through breathtaking scenery in the Natura 2000 protected reserve of the Azun valley. We start out with an exhilarating descent from Bareges, through the Pierrefitte gorges and down to the pretty market town of Argeles-Gazost. 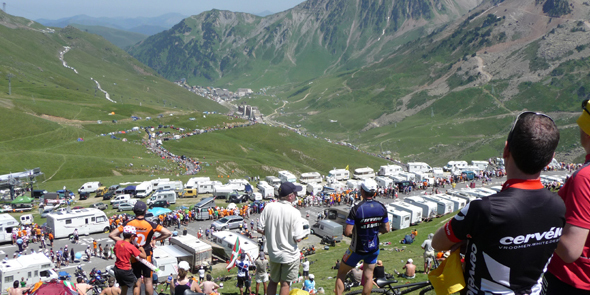 From here, the classic Tour de France route climbs through a string of picturesque mountain villages, first summiting the Col de Soulor at 1474m. 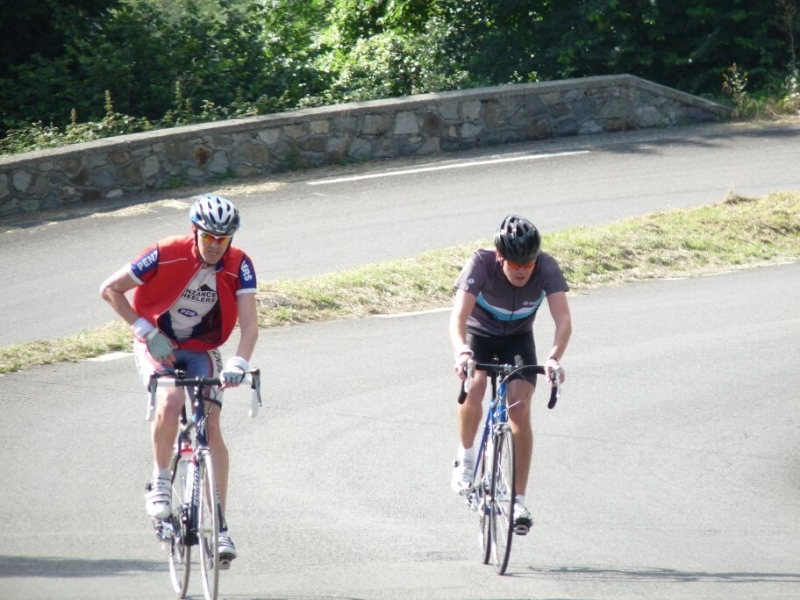 Last featuring in the Tour in 2010, this 19.5km climb rises 1019m with an average gradient of 5.2%. 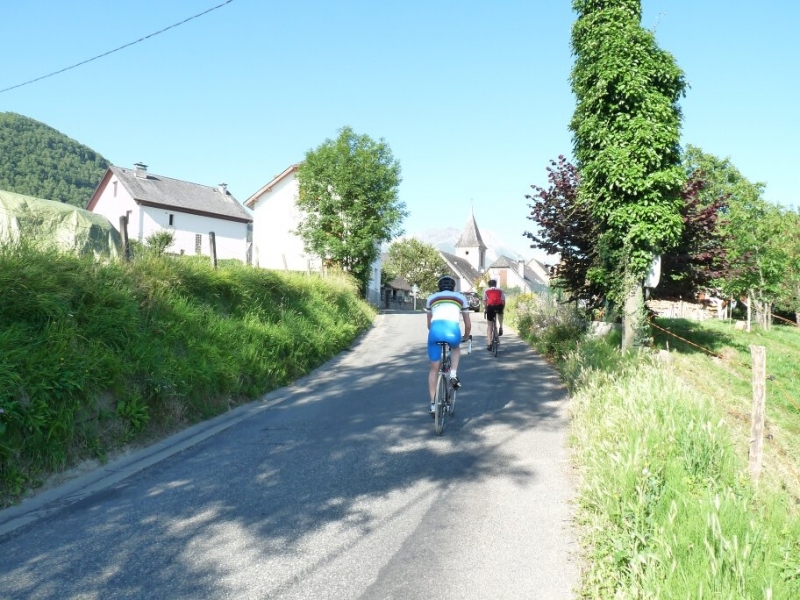 Don’t be fooled into thinking that this is a relaxing ride though, as the gradient picks up after Arrens-Marsous reaching 10% or more (the is a short section at 16%)! Rolling onwards, our route takes us a further 10.6km and 235m ascent to reach the Col d’Aubisque at 1709m. This section of the ride is famous for the two narrow tunnels and airy cliff-side road around the Cirque du Litor. 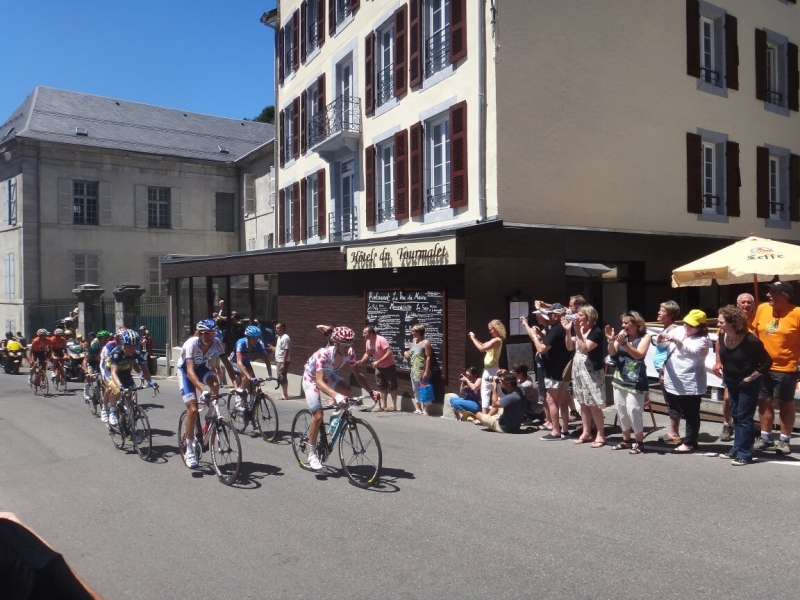 After celebrating our double summit, we continue West down into the beautiful, pastoral valley of Ossau, which leads us through the Jurancon wine area into the centre of the historic town of Pau in time to see the Tour de France in action for the Pau time trails. (Note: It is possible to reverse the itinerary if timings for the trails, which are no yet available, do not fit with this plan). 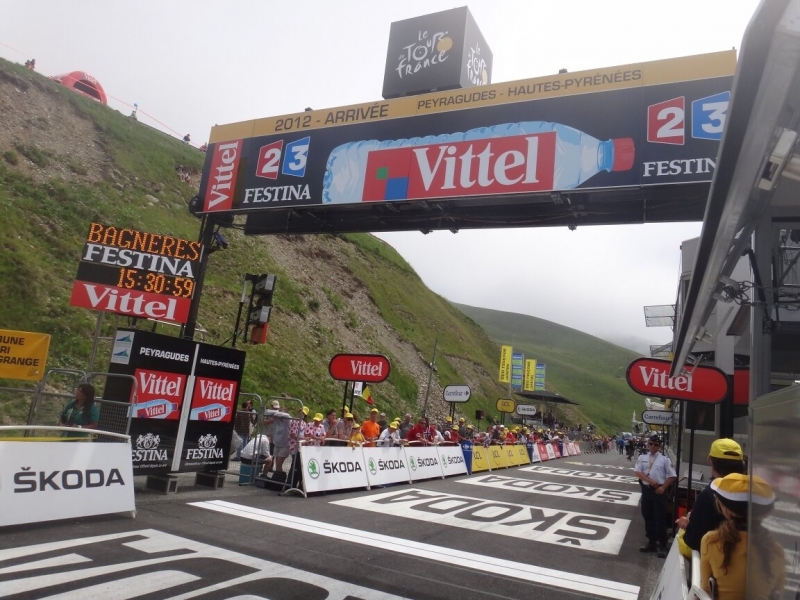 The Tour finishes on the Col du Tourmalet today. It is the official end and change over day for us as we will be welcoming new guests for the following week, but you have the possibility to leave your bags with us for the day and to go and experience the excitement up at the col before you leave if it fits with your travel plans. Please check individual holiday descriptions to find out what the price includes. In some cases discounts are available for groups or family rooms. For some holidays accommodation is provided in mountain refuges, or by 3rd party suppliers – please see individual holiday descriptions for details. PLEASE NOTE – Our calendar is flexible. Please contact us if you have a different trip or date in mind to the ones shown or if you would like a bespoke itinerary (these can be organised on most dates).